3) Parent-Child relationships are the first and most powerful, because they can prepare a child for a bright future or leave deep emotional scars. 4) Siblings have unique relationships. Although every situation is different, the defining characteristic here is family. Siblings generally don't choose each other, like friends do. Whether through birth, marriage, adoption, or other circumstances, siblings are linked together forever through the special bond of family. 5) Sibling groups can be some of the most riveting bonds in fiction, and can even link together several series. From Gandalf to Obi-Wan Kenobi to Professor Xavier and beyond, mentors are one of the most common of the character archetypes. They fill a unique and necessary role in fiction, and just like their real-life counterparts, are often instrumental in the personal growth and development of their students. Merriam-Webster defines a mentor as "a trusted counselor or guide; someone who teaches or gives help and advice to a less experienced and often younger person." In fiction, mentors most often appear in stories featuring a character who is discovering new powers, a hidden destiny, or an inherited legacy or conflict. 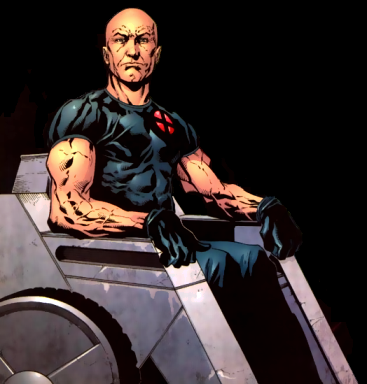 These often take the form of "coming of age" stories, as is the case with Obi-Wan Kenobi, Yoda, and Luke Skywalker (Star Wars), Gandalf and Bilbo and Frodo Baggins (Lord of the Rings), or Professor Xavier and his X-Men (X-Men). Mentors also feature when the main character must undergo a drastic change, whether it is a change in circumstances or in character. Examples of this include Genie and Aladdin (Aladdin) and Dr. Erskine and Steve Rogers (Captain America: The First Avenger). Why are mentors so common in fiction? Many stories, especially the aforementioned "coming of age" and "change" stories, feature the main character's personal growth. She will learn an important lesson and become a better person because of it. The mentor often plays a key role in showing the main character the way to improvement. He is the one with the knowledge, wisdom, and tools that will allow the main character to learn her lesson, defeat the antagonist, and achieve her goal. Unfortunately, there is a catch in this simple scenario. In order for the main character to prove her progress, she must show she doesn't need the mentor's help anymore. Many writers give the main character a chance to act on her own by removing the mentor altogether. The most well-known and emotional way to accomplish this is to have the mentor die just before the climax. 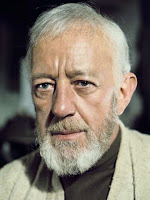 Gandalf, Obi-Wan, Yoda, Dr. Erskine, and many, many more have perished this way. It is so common that TV Tropes created a page for it, and hilariously dubbed this phenomenon the Mentor Occupational Hazard. In other cases, the mentor is simply kidnapped, disappears, or is busy elsewhere, still giving the hero a chance to act on her own. Whatever happens to the mentor once his role is fulfilled, he is critically important because he often performs the function of an "Impact Character." The antagonist is responsible for the surface conflict in a story, but the impact character has a deeper function. The impact character is responsible for the inner conflict that ultimately drives the protagonist to grow or become a better person in some way. Every story needs an impact character. Although the impact character isn't always an older and wiser teacher, using a mentor is one of the safest, easiest ways to help guide a protagonist toward truth. It is virtually impossible to talk about famous fictional mentors without mentioning Gandalf the Grey from The Hobbit and Lord of the Rings. 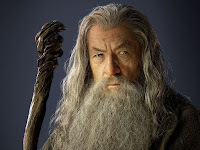 Gandalf played the role of mentor for both Bilbo and Frodo Baggins, as well as many other characters. In The Hobbit, he is the one who "encouraged" Bilbo to join the adventure in the first place, and consistently helped to guide him as they quested toward the Lonely Mountain. Later, in The Fellowship of the Ring, Gandalf was the one who taught Frodo the importance of the One Ring and sent him on his quest to destroy it. Gandalf accompanied Frodo and the rest of the Fellowship for most of the first book, but was apparently killed in the Mines of Moria by the Balrog, just in time to leave Frodo all on his own for the climax. Without Gandalf, Frodo was forced to face the corrupted Boromir alone, and ultimately escape with Sam. 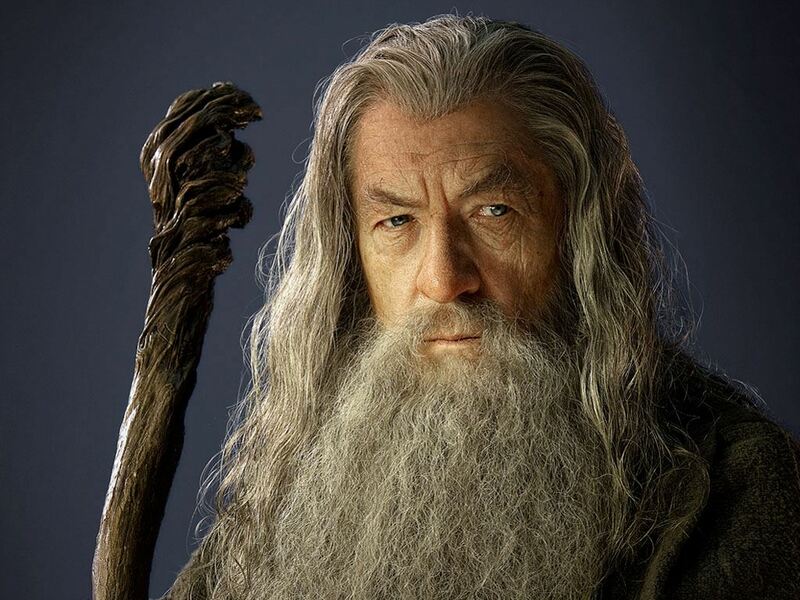 Gandalf reappeared in The Two Towers as Gandalf the White, an even more powerful wizard than before. When Pippin looked into the palantir, Sauron believed Pippin was the hobbit carrying the One Ring. To protect Pippin, Gandalf kept the hobbit close to him for the rest of the book, until Pippin pledged his service to the Steward of Gondor. In this book by C.S. Lewis, we see an entirely different sort of mentor. Although most people consider mentors to be good, there are many notable exceptions, including Emperor Palpatine/Darth Sidious (Star Wars), Sebastian Shaw (X-Men: First Class), and Screwtape (Screwtape Letters). 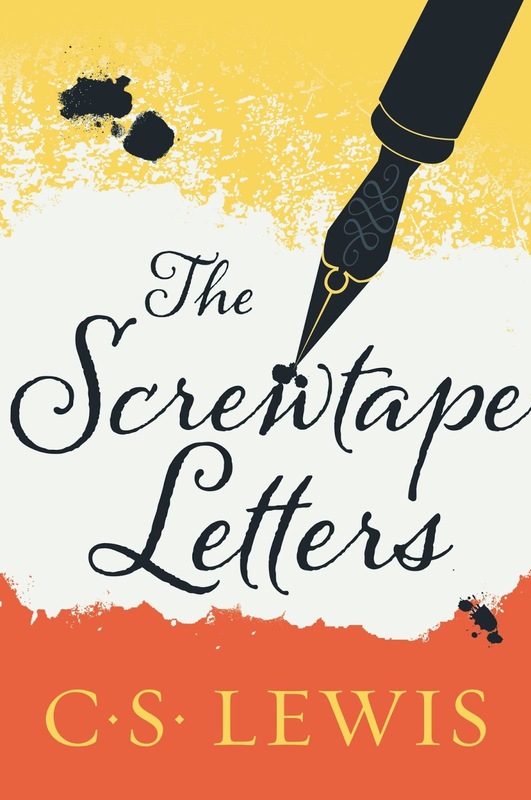 Lewis wrote Screwtape Letters as a series of letters from the older, more experienced demon Screwtape to his nephew Wormwood. Screwtape advised Wormwood on how to ensure a particular man, known as "The Patient," does not find Christ and therefore eternal salvation. Lewis used this structure to emphasize different tactics evil forces use to turn us away from God, all through the lens of a unique premise. Screwtape functioned as a mentor to Wormwood, albeit a terrible one. Some mentors can be genuinely evil and yet be supportive, wise mentors who prepare their students to excel in the future. Screwtape was not like this. He encouraged Wormwood to pursue evil and attempt to bring others down with him, expressed no actual affection for his nephew, and when Wormwood ultimately failed and was condemned to death at the hands of the other demons, Screwtape was the most eager to kill him. Screwtape is a classic mentor and a fantastic example of exactly what a mentor should not be. 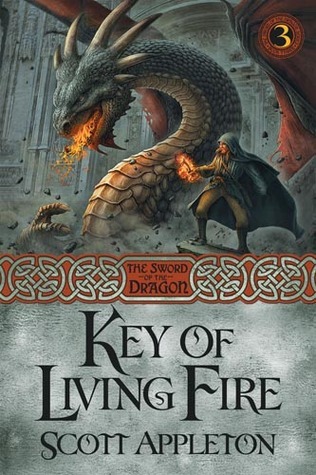 In this third book in the Sword of the Dragon series by Scott Appleton, Specter was guided through his difficult spiritual journey by the great white dragon Albino and the prophet Patient. In the prologue to the first book, Specter was the leader and mentor for the elite warriors that served Albino, but when they all betrayed him for their own personal gain, Specter grew bitter. Two of them died immediately, another was later killed by Albino's daughters, but the two remaining warriors turned to dark magic in order to bolster their power. Specter spent much of The Key of Living Fire chasing his former pupil Auron. If Auron wouldn't repent of his evil ways, Specter would kill him. After all, Auron was responsible for the deaths of hundreds of innocents, and fully intended to continue his rampage of destruction. Even though Specter was a godly man, he became blinded by his own anger. His obsession with bringing down his former students consumed him. Albino was not able to interfere with the situation directly, but he and Patient worked hard to show Specter a better path. Auron could not be allowed to continue, but if Specter let his anger get out of control, he would no longer be doing God's work. He needed to remember that God was the ultimate judge, and find the peace that comes with surrender to God's control. Patient and Albino were devoted mentors to Specter and brought him closer to God even as Specter's own former students followed darkness. Have you noticed how common mentors are in fiction? What are some of your favorite mentor relationships? Do you have a mentor, or are you mentoring someone else? Let us know in the comments! - Dramatica has a comprehensive, in-depth article about the eight major character archetypes. - K.M.Weiland gives a shorter and more reader-friendly post that covers the same archetypes, plus one more. - Janice Hardy also complied a list of important characteristics of a mentor. Very informative post, Hannah! I especially liked your comments about how the supposed mentor in Screwtape was all about how NOT to be a mentor, but the end result was still positive. One would think parents would be the most likely mentors, but when I consider my most influential people, they were not! I also liked your information about impact characters...I had not heard of that term before. Keep up the good work! Wow, this was a great post, Hannah! I love how thoroughly you delve into topics. I had never heard the term "impact character" either, but it makes a lot of sense in determining how a character will change by the end of the story. Ha, and the Mentor Occupational Hazard cracked me up :) I kind of have a set of mentors in my story, though one stands out as the most prominent. Your post really helped me re-evaluate their role in influencing my main character!